What are Face Recognition apps? A facial recognition application works as a system that is used for identifying or verifying a person automatically out of a digital image or a video frame extracted from a particular video source. One of the ways it does the job is by comparing or matching the selected major facial features from the image with that of another and creating a facial database. Now, to take an advanced step towards security, there are numerous Face Recognition Apps which are flooding the market and especially for the Android users. I have gone through almost all of them and picked up those which had a better appeal because of their "ease of use" and "functionality based features". 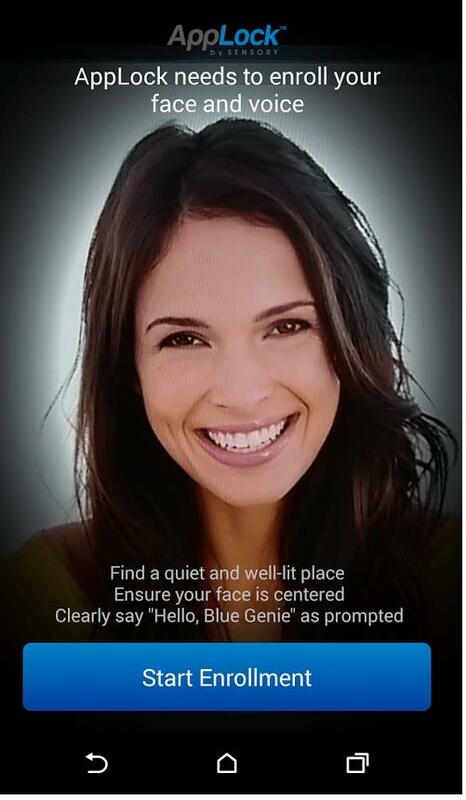 AppLock Face/Voice Recognition App from Sensory TrulySecure has come up with this latest Face and Voice recognition app that is stuffed with hoards of features which I found to be really sound and useful. With this app, any user other than you can never access the protected apps that you have selected, as whenever anyone tries to open any of these apps, the AppLock app will pop up a window which would be looking for your face and at the same time would listen to your voice pronouncing the secret unlock phrase which you have set for yourself. The moment the AppLock's advanced face and voice biometrics is able to verify and match your face with your voice, all the locked up apps will open at once. So as long as they don't match, there's no possibility of your apps being accessed by anybody else other than you. AppLock is based on an advanced algorithm that is built up with deep learning to ensure that the app even learns to recognize your face accurately more and more over time. That's an intelligent app which I found to be quite reliable and useful. And you get this app free of cost. 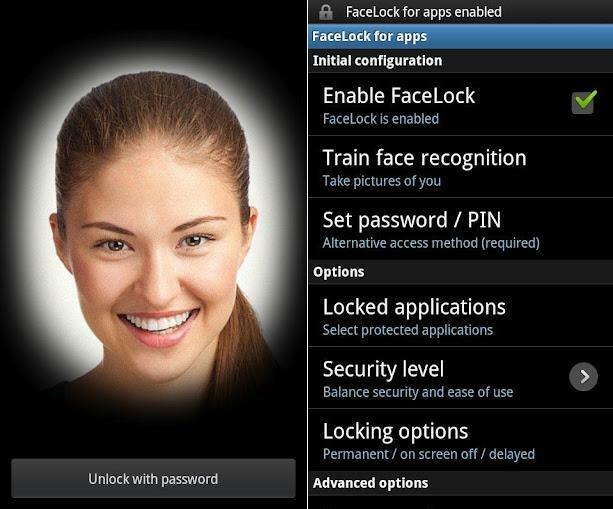 FaceLock for apps from Wise Orchard is yet another free app that protects your other apps only with your face. By using FaceLock one can protect his/her phone against malpractices, as it locks your frequently used apps like Gallery, Facebook or Whatsapp and doesn't allow any other user to hack your account or make unwanted usage of your photographs or other personal information. There is a free version as well as a paid one. With the Free one one would be able to lock the protected apps like the settings, market, task manager, and any one app of your choice. As you install the FaceLock for apps, the main page will navigate to its main menu that has a list of options allowing you to customize the performance of the app. To enable the FaceLock functionality on your handset, you need to simply tap on the "Enable FaceLock" option that is listed in the main menu. Once you activate the app on your phone, you would be enabled for a lot more options henceforth . The FaceLock will start off its job whenever someone tries to access the restricted apps on your phone. The app even has got the option where you can lock any application on your phone. There is a pro version of FaceLock, which gives you unlimited applications to set the app work for and you can even use it as a screen lock tool for your mobile. 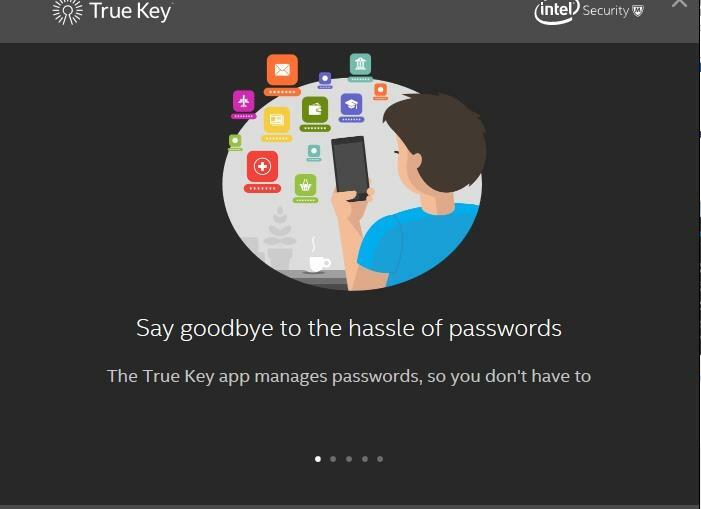 True Key by McAfee (Intel Security) Productivity frees you from the boredom of typing passwords to access the apps and favourite sites through your phone. At the same time and with the same technology it prevents others from accessing them. The app remembers the passwords for you, and lets you instantly log in to the favorite sites that you frequently visit with the help of features like face or fingerprint recognition. Once you Sign in with the True Key app with your preferred method like face, fingerprint and even with devices you trust, the app will give instant access to all of your favorite apps and websites. The best part of the app is that it remembers and fills all your login passwords in the background while you surf the web, so you need not log in every time by typing the usernames and passwords for every site that asks you to do so. But here I feel that the app might be going a too little ahead, where the security issue might hit back as a boomerang. So it is better not to opt for the option of remembering passwords, when you visit an online banking site and make any payment online. There are even other available options in the app to access your stuff like the 2nd Device or Master Password. They boast of their app of making multi-factor authentication easier. Face Detection screen lock from MNM Developer is another high security face detection screen lock app which is apt for the safety and privacy of your digital properties. The app will let your phone open only when it recognizes your face. One can use the Face detection screen lock both for locking the apps as well as a screen lock. But there is an option to choose both Face detection and password to lock your stuff. One has to Train his/her face to set the screen lock which is a one-time action. 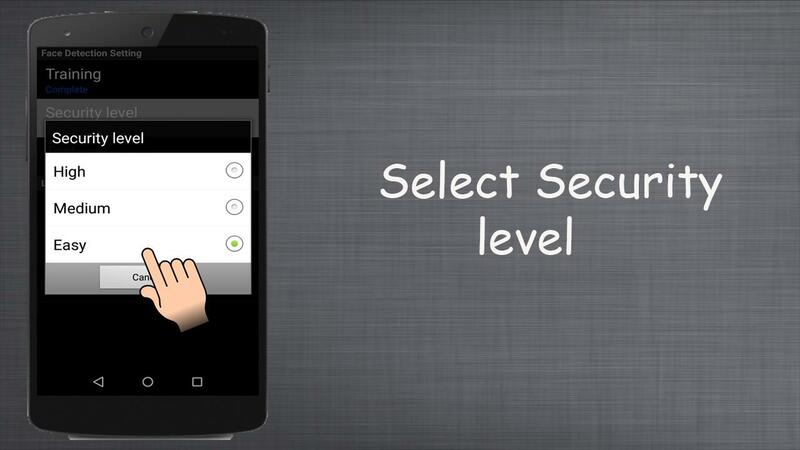 Then the user would be prompted to choose and set the security level to be low, medium or high. The next step would be enabling or disabling the screen lock as per the user's choice and lastly set a password for the lock to keep it in standby in case you need to use the password instead of using the face detection option. No, this is not an app that uses Face Recognition for securing your apps or websites. It does something unique. It lets you know in which mood a person is, at a particular moment. If you can feed the app with the right moment captured in your camera, then the app will analyze the mood of the person and show you the result "secretly". That's real fun! I just never expected an app doing something like this! Now you can understand your close and loved ones better and even yourself, if you can get the right click at the right moment. 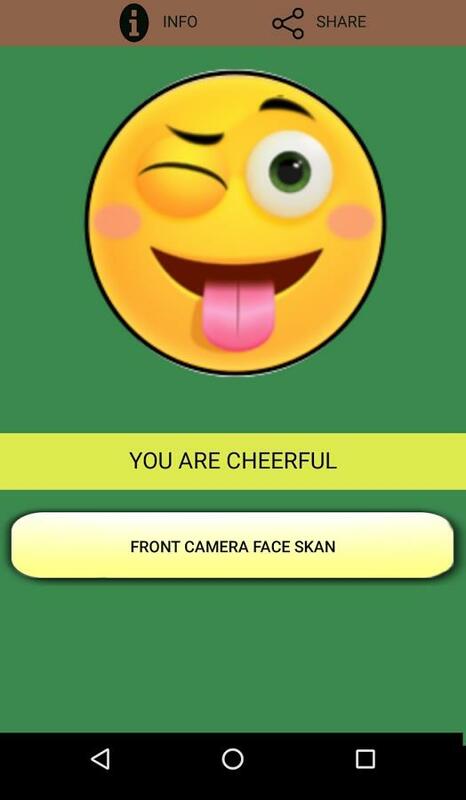 This psychologist app (its my own coinage) has a scanner that uses a secret algorithm that is programmed for recognizing facial expressions. But the developer is very jittery to accept any serious responsibility for the application they have created. They say, it is just for the purpose of entertainment where one can tease, cheer up or literally change one's mood from gloomy to an excited one through this app. They are pretty serious about their app while putting up the disclaimer "not to treat the results too seriously". That comes indeed as an unique way of entertaining people as well as using face recognition technology! Enjoy! The Face recognition technology is now working at par with the fingerprint sensor technology. Both are doing their best to enhance the security level of mobile phone users. These apps offer a varied range of options to make sure you are well protected with your digital properties. So its time to pick one as we all want to place ourselves secured. Sprint services are very user friendly and can be managed by family members with great ease. The only issue is that its usages and services are limited to the Sprint Zone and cannot be extended to other carriers.